Most of the attention was on Grant Williams’ career night on Wednesday when No. 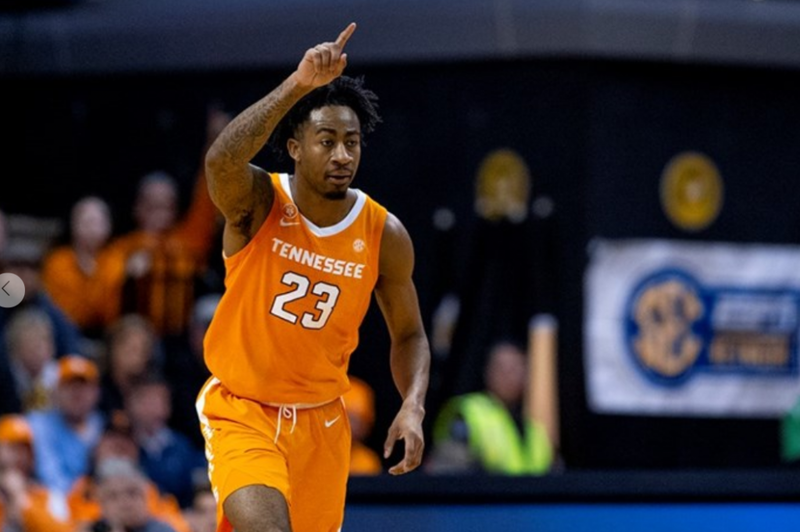 1 Tennessee survived an upset bid by Vanderbilt and won in overtime. 88-83. But junior guard Jordan Bowden had arguably the play of the game, and he can add it to his highlight reel. With about 3:23 left in the game and Vanderbilt leading 70-65, Tennessee had an inbounds play drawn up to get the ball to Jordan Bowden. Point guard Jordan Bone tossed up a pass toward the rim of the basket, and Jordan Bowden elevated. Bowden grabbed the ball with his right hand and then threw down an explosive dunk to pull the Vols to within three points. The play drew Vol fans off their feet and provided a much-needed spark for Tennessee late in the game. After the game, head coach Rick Barnes was asked about that inbounds play, and he said he didn’t sign off on it at the time. Bowden finished the game with nine points, four rebounds, and two assists in 31 minutes. He had to sit for a bit in the game because of foul trouble after picking up his third foul in the second half. But when he was in, he had some productive plays. His dunk, though, will be the play that gets remembered most from Wednesday night.